Myplant & Garden is pleased to inform you that, thanks to the collaboration with Trenitalia, exhibitors and visitors in possession of the entry ticket to the fair will be able to buy the train ticket with a 20% discount. With Trenitalia Frecce trains you arrive directly to Rho Fiera Milano. 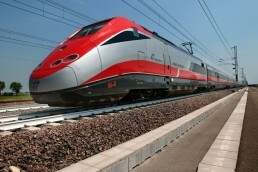 The list of trains that stop in Rho Fiera Expo Milano will be soon available.